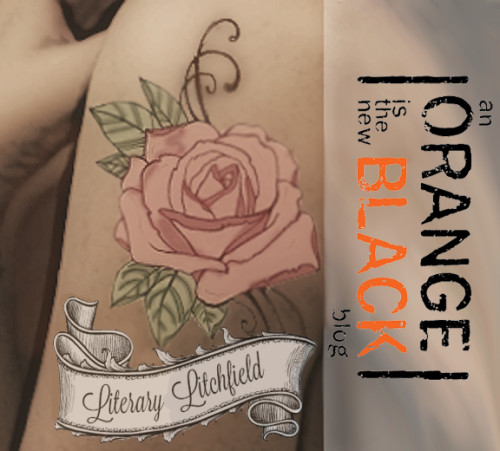 Literary Litchfield was founded on January 4, 2014 by K. M. Roedel as a blog on Tumblr that is “tapping on glass of Litchfield’s fishbowl.” This blog aims to produce content that will discuss in a semi-formal manner all of the serious issues introduced by Orange Is the New Black. This blog was later migrated to WordPress. In addition to formal written content, I produce character-based content that examines how the inmates’ pre-prison lives shape their behavior in Litchfield. Firstly, I want to ask whether you have the experience of cooperating with other websites? Then our goal is very simple. You just write a post about costumes and add the link in it. Then I will give you a banner and please put it in a public place on your blog. Also, you can write some reviews for our website. If you can help us, how much money do you want? Hope for your reply, thank you! I find your blog is very cool, and your blog write different kinds of styles, of course especially about costumes, now I have a fashion costume store named http://www.firecostumes.com. Are you interested in cooperation with me about blog writing? You just write blog about costumes and add our links I give you, that’s ok. I will give you some money or clothes as your return. please reply me soon, best regards! I am interested in this opportunity. Please e-mail me at literarylitchfield@gmail.com so we can discuss this further!